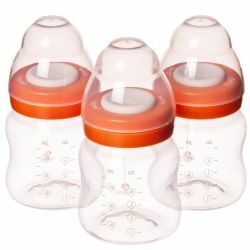 Safe plastic designed for breastmilk storage. Compatible with all Hygeia Breastpumps. 2-piece lid for storing breastmilk in refrigerator or freezer. Hygienic Storage Cap keeps container clean and may also be used as a feeding cup.